Edison Spirit Wear Sales Spirit wear sales will begin on 9/5/2016 and end on 9/30/2016. Order forms are available in the front office. We welcome all returning and new students and their parents/guardians to the new school year! Edison Middle School is designed to meet the unique needs of young adolescents. We are committed to academic excellence and to providing opportunities for student growth and success. We plan and organize excellent projects and provide exciting learning experiences for our students. Experience tells us that to receive the most benefit from what we offer, your child must be an active participant in the life of the school. This includes taking part in classroom activities, completing assignments, stretching his/her mind, and becoming involved in some of the extra-curricular offerings. Very importantly your student must attend school on a regular basis. Research shows a clear relationship between regular and punctual attendance with academic achievement and later success in the real world. We also know that family involvement in education is crucial. Family involvement benefits students’ academic performance, enhances family-school relations and increases the understanding and support for students in the home as well as in the school. We, in the best interest of your child, request your involvement and support in the educational process. Please feel free to contact us to resolve any questions or issues you may have. BRAND NEW AIR CONDITIONING AND LIGHTS! 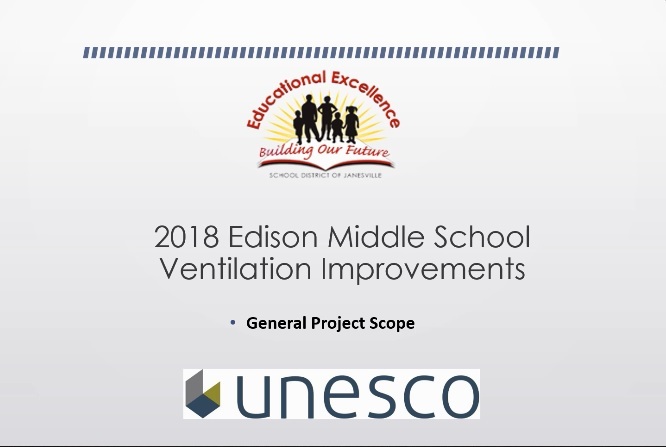 It was a busy summer at Edison as construction crews worked tirelessly to install new air conditioning and lighting throughout our school. Students and staff will truly enjoy the cool and pleasant environment that this extensive project as offered. We greatly appreciate the patience that our Edison community has shown throughout the summer, as the building was closed down! All the hard work has truly paid off for the comfort of our students and staff. Edison Middle School is a school-wide Title 1 school. What does that mean for your child? It means access to highly qualified teachers, including a Title 1 teacher to support students in reading and math. Title 1 services can include, but are not limited to, extra support in the math and reading classrooms, small group instruction, and targeted interventions. Here at Edison, our Title 1 teachers are shared with Franklin Middle School. They are: Mrs. Steele (lsteele@janesville.k12.wi.us), and Mrs. Skrzypchak (dskrzypchak@janesville.k12.wi.us). Being a Title 1 school also increases funding for teacher professional development, technology upgrades, family nights, and other resources for students, staff, and parents. Registration for Season 1 Sports ends September 6th. Parents: Check the Edison website for up-to-date sports information and upcoming sporting events. Our calendar can be found at https://edison.janesville.k12.wi.us/calendar. Welcome from the Student Services Staff! The Student Services staff welcomes you to Edison Middle School. We encourage you to contact us if you have any information we need to know to help make your child’s year a success. 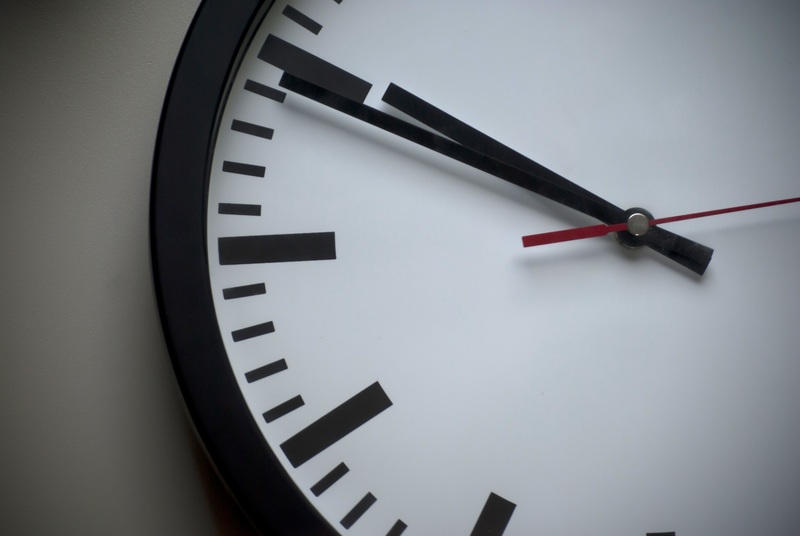 We ask that you make an appointment, if you need to see us, so that we can reserve time for you. Please feel free to call the Student Services office at (608) 743-5926 for an appointment or any other questions you may have. For the past fourteen years, Edison Middle School has kicked off the new school year with First Day Conferences (previously known as Ready, Set, Goal Conferences). These conferences give parents, students, and teachers an opportunity to discuss work done in a student’s portfolio and expectations for the upcoming school year. Like previous years, this day is not a typical day of school for students. You and your student will schedule a time to come to Edison on Tuesday, September 4th, 2018. We have time slots from 8:00 a.m. to 6:30 p.m. You and your student are only expected to be at school during the time you scheduled for this conference. If you have any questions about First Day Conferences, you may call the main office at (608) 743-5900. 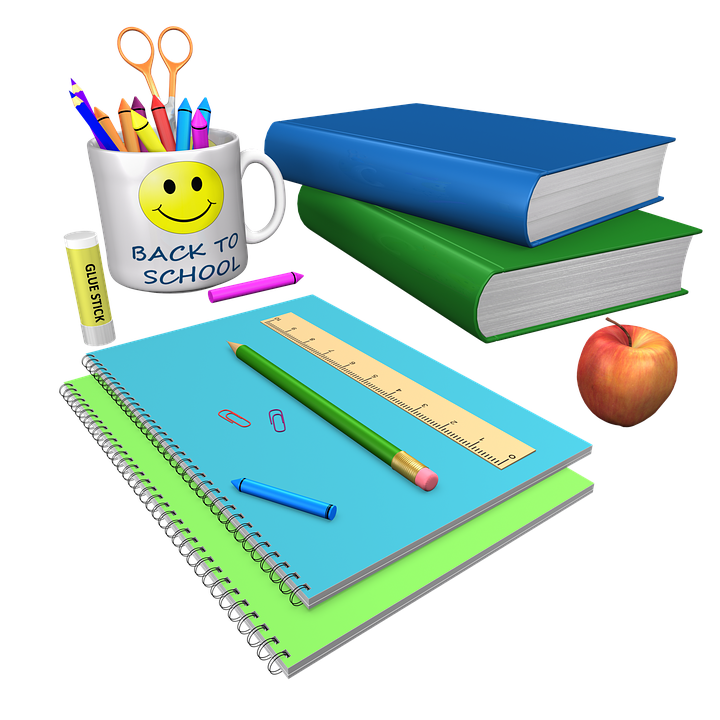 Please remember, the only required attendance on the first day of school (Tuesday, September 4th) is during a student’s scheduled conference time. Lunch Account Information A reminder to parents/guardians: Parents/Guardians may place spending limits on their student’s spending in the school cafeteria. If you have any questions, please contact the Secretary to the Manager of Food Services at 743-5132. Here are a few guidelines indicating how the Janesville School District will handle the lunch accounts for the 2018-2019 school year. If you have additional questions about the lunch program and free or reduced lunches, please contact our staff in the cafeteria at 608-743-5908. There will be a staff member readily available (in the cafeteria) during First Day Conferences (September 4) to deposit money into student lunch accounts and answer any questions you may have about the lunch program. Also, at this time, parents may place spending limits on a la carte purchases from student lunch accounts. Edison offers a free breakfast program to ALL students. Students may enter the cafeteria at 7:30 a.m. to receive a breakfast. Breakfast items must be eaten in the cafeteria before school starts. The standards are aligned with the Common Core State Standards in English Language Arts and Math, and the Wisconsin Model Academic Standards in all other subject areas. Student achievement is measured based on student ability to meet the standards put in place for specific content areas. Depending on the level at which a student is able to meet a standard, the student achievement will be evaluated on a 4,3,2,1 grading scale. These numbers do not correlate with letter grades. The grading scale is similar to the Janesville Elementary Schools and is detailed in the chart below. It is the objective of the District for students to obtain 3’s, while offering them the chance to demonstrate higher level thinking, resulting in 4’s. Teachers will determine if a standard is met through a variety of assessments. In addition, specific teacher comments regarding life skills such as responsibility and attitude will also be reported by subject area. Parents will be able to view ongoing progress on Family Access, and report cards will be sent home with students at the end of each quarter. 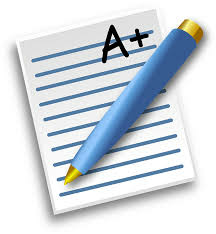 The last report card of the year will be mailed to parents. 4.0 In addition to 3.0 performance, demonstrates in-depth understanding and application that goes beyond the learning goals. 3.0 Demonstrates mastery regarding the information and/or processes (simple or complex) of the learning goals. 2.0 Demonstrates mastery regarding the simpler details and processes, and demonstrates partial understanding regarding the more complex ideas and processes of the learning goals. 1.0 With help, a partial understanding of some of the simpler details and processes and some of the more complex ideas and processes of the learning goals. Are you Moving??? If you will be moving from your current home address, please contact Edison Middle School’s Student Service’s Secretary at 743-5926, as soon as possible, to determine what paperwork you will need to fill out for your child to continue attending his/her current school. Please note: If you are moving to an address outside the School District of Janesville, in most cases, your child is eligible to continue attending the School District of Janesville as long as you complete the appropriate paperwork within the required timeline. If you have any questions about school placement for a particular address, please contact Administrative Services Secretary Tami Carlson at 743-5006. The Administrative Services Office is open year round. Tornado Warning When the National Weather Service issues a tornado warning, it means that an actual tornado has been signed by a trained spotter or a radar reading shows conditions are right for a tornado to develop in the immediate area. When a tornado warning is issued for the immediate Janesville area, the emergency sirens will be activated. Twice each school year, Edison Middle School practices the response the school would use if an emergency siren is activated for a tornado warning during the school day. Edison Middle School has designated safe areas for all students and staff to go to when a tornado warning is issued. Because all doors to Edison Middle School are secure during the school day, they will remain locked during a tornado warning. Staff are not encouraged to respond to door buzzers, knocks on doors, or phone calls, but rather to remain in their designated safe zone until the tornado warning is canceled. We also encourage parents and family members of students to seek safe shelter during a tornado warning. Parents or family members should not come to Edison Middle School during a tornado warning to pick up their child. Once the tornado warning is canceled, Edison Middle School will return to usual operations. At that time, staff will be able to respond to door buzzers and phone calls. Thank you in advance for working with Edison Middle School to keep your child safe during a tornado warning. If you have any questions or concerns regarding this information, please call the Director of Safety and Student Services at 743-5078. Release of Pupil Directory Data Information Wisconsin Statutes provide that schools or school districts may legally release a pupil’s name, address, telephone listing, date and place of birth, major field of study, participation in officially recognized activities and sports, weight and height of member of athletic teams, dates of attendance, photographs (The School District of Janesville will consider videotapes the same as photographs), degrees and awards received, name of the school most recently previously attended by the pupil. Such information may be withheld if the district is advised by the parent, legal guardian, or eligible student (18 years of age or older) to do so. If it is your wish to not allow such information to be released, and if you are the parent, legal guardian, or eligible student, you need to sign a “Request to Withhold Directory Data” form at the school office. If we have not received the request form to withhold information within 14 days of the publication of this newsletter , then we are to assume that directory data may be released if requested. “The school district must locate, identify and evaluate all resident children with disabilities, including children with disabilities attending private schools, regardless of the severity of their disabilities.” The school district has a special education program to locate and screen all children with suspected disabilities who are residents of the district and who have not graduated from high school. Upon request, the school district will screen any resident child who has not graduated high school to determine whether a special education referral is appropriate. A request may be made by contacting Barbara Kelly, Supervisor of Special Education Services for the School District of Janesville at 608-743-5061, or by writing her at 527 S. Franklin St. Janesville, WI 53548. A physician, nurse, psychologist, social worker or administrator of a social agency who reasonably believes a child brought to him or her for services is a child with a disability has a legal duty to report the child to the school district in which the child resides. Before referring the child, the person making the referral must inform the child’s parents that the referral will be made. The referral must be in writing and include the reason why the person believes the child is a child with a disability. Others who reasonably believe a child is a child with a disability may also refer the child to the school district in which the child resides. A referral of a child residing in the School District of Janesville may be sent to Barbara Kelley at the school district address above. It’s the Law in Wisconsin Kids Need Shots for School! To attend school in Wisconsin, students must show they’ve had immunizations. The following table lists the minimum required immunizations for students in grades 6-9. Supervision after school is until 3:30 PM. Students need to leave school grounds by 3:30 PM since there is no supervision after this time. If special arrangements have been made with a teacher for a student to stay later than 3:30 PM or to work with a teacher for extra help, that is an exception. We appreciate your help and support to provide a safe environment for your student and others. When calling your student out of school for an illness or permission to leave school early for an appointment or for tardiness, please speak SLOWLY and SPELL the student’s last name, grade, and reason for the absence. Also when writing notes for student absences or for a student to leave school for an appointment, please include student’s first and last name, their grade, the date, and the reason for leaving school. Please remember, if the last name is different from the parents, please include the student’s last name on the note. We DO NOT stock any over-the-counter medicines. If you wish to send Ibuprofen, Tylenol, or any other over-the-counter medicine, it must be in its ORIGINAL bottle and the Attendance Office must have a signed parent consent form on file. If we don’t have the form, we will call home and the parent will need to come to school and administer the medicine to the student. All prescription medicines must be accompanied by a signed doctor’s form AND a parent consent form and must be in the ORIGINAL bottle. These forms can be obtained in the main office. We are not permitted to accept any other forms. If your child is sick please tell them to come to the Attendance Office and call home. We do not want them calling from a classroom or using their cell phones. Thank you! Our students have been busy engaging in the 4Cs of Edison Middle School. The students are working to strengthen their skills in Communication, Collaboration, Creativity, and Critical thinking. Furthermore, our teachers are working to design and plan lessons to give our students impactful learning experiences that they will grow from and will retain. Our students come daily, experiencing “Empower” as the first learning opportunity. The students are provided interventions in reading and math throughout the week. When learning interventions are not taking place, students work with teaching staff on the social-emotional parts of their lives in our Second Step programming. The teachers and students communicate and work together to find safe and healthy decisions and solutions in everyday student lives. These opportunities provide students with the means to understand why a conflict is taking place and what can be done or said to find a solution. As we continue to empower our student learning, we are working with Discovery Education to provide engaging and empowering lessons. We are working within the confines of our curriculums and classrooms to produce problem-solving skills and learning in real life and real world issues. You can see and hear about many of these opportunities inside and outside of class at Edison if you visit our Facebook and Twitter pages or listen to our Bald Eagle Podcast on our website. We look forward to parent-teacher conferences on March 6 and 7. The conferences will once again take place in teacher classrooms and will be student led. We are continuing our efforts to put the students in the driver seat of their educational position and outcome in their classroom learning at Edison. Please feel free to contact me with any questions, compliments, or concerns you may have. I always look forward to collaborating with families to provide a positive and productive learning environment for our students. Please consider stopping by and visiting with me at Parent-Teacher-Student conferences in March. Although held at Edison, Rec. Nights are events sponsored and operated by Janesville’s Leisure Services. Leisure Services rents the building from the school district. They are in charge of supervision and policies related to Rec. Nights. They always have several paid Leisure Service staff members at Rec. Night, and parent volunteers are always encouraged to help out. Please contact Leisure Services if you would be able to help out with any future Rec. Nights. The Leisure Service Staff always strives to contract one off-duty Janesville Police Officer to be on duty; however, this is not always possible. We do know that many of the problems that have occurred over the years related to Rec. Night actually happen when the event has ended, and students are waiting outside for rides. Rec. Night ends at 9:00 p.m., so please pick up your student at that time. If you have any Rec Night questions or concerns, please feel free to contact: Leisure Services at 608-755-3030. Edison Middle School is a school-wide Title 1 school. What does that mean for your child? It means access to highly qualified teachers, including a Title 1 teacher to support students in reading and math. Title 1 services can include, but are not limited to, extra support in the math and reading classrooms, small group instruction, and targeted interventions. Here at Edison, our Title 1 teachers are shared with Franklin Middle School. They are Mrs. Steele (lsteele@janesville.k12.wi.us) and Mrs. Skrzypchak (dskrzypchak@janesville.k12.wi.us). NBC15's Crystal Apple Awards are accepting nominations now! The NBC15 Crystal Apple Award is an award that is given to five teachers in South Central Wisconsin in recognition of outstanding contributions to education. Crystal Apple Awards was created for a way the community can express their gratitude towards a teacher that has made a difference in their lives. Now through March 31, 2019, we are asking families to send in their nomination for a teacher that has touched their life, has touched the lives of others. Entries will be reviewed by a panel of NBC15 judges and narrow nominations to five Crystal Apple recipients and ten Honorable Mentions. Crystal Apple Award Winners will be announced the week of May 6, appropriately paired with Teacher Appreciation Week. We highly encourage staff and parents to participate! Last year we received more than 500 nominations; and we look forward to reading each and every one this year. Mention Edison Middle School when ordering. The Kwik Trip Milk Moola incentive will be coming to a close as of March 1, 2019. If you have any milk caps or UPC symbols that you would like to bring to Edison, please do so by February 28, 2019. We would like to thank everyone that participated in this program. Students are expected to abide by all established codes of conduct and board policies, as outlined by the student handbook and as stated in rules established by building principals for each school. All students must help to establish and maintain a safe and educationally conducive environment. When it becomes necessary to investigate student misconduct, students have a duty to cooperate and answer questions truthfully and completely. Students who are dishonest, uncooperative, and/or are evasive will be subject to disciplinary action up to and/or including a recommendation for expulsion. DENTAL SERVICES AT NO COST TO YOU! The School District of Janesville will be offering dental services during the school year to any student in the school district. These dental services will be offered at no cost to the family. A registered dental hygienist will be providing a dental exam and dental sealants. The dental sealant is placed on your child's molars and is the single best practice for preventing cavities in these teeth. If you have or are having trouble getting your child into a dentist or don't have dental insurance, than this service is for your child. Services will be provided right at school and you will not need to leave work to transport your child to a dental office. If you are interested in having your child receive these dental services, please contact the office at your child's school to obtain a permission form. Complete this form and turn it in at the school office. If you have any questions or concerns about this service, please call Ian Hedges with Health Net at 608-974-1921. Accommodations and supports for students with disabilities and/or English language learners are built into the system so that the progress of students can be accurately measured. The Forward Exam is a high quality, research-based, and affordable assessment that meets Wisconsin’s expectations. It is a customized assessment with innovative item types that includes test items reviewed and approved by Wisconsin educators. Mark testing days on your calendar to help remind you and your child when the testing will take place. Work with teachers and administrators at your child’s school to find materials to work on at home in preparation for the test. If you child is sick please contact the school immediately to inform them. Work with them to focus on breathing. Stress is often caused by insufficient oxygen to the brain. Work with the student to take time before the test begins to take a number of deep, cleansing breaths, exhaling slowly. Focusing on breathing by taking some time when stress levels rise helps to focus the mind during testing. Try to use positive language when talking about expectations of the test. Do not overinflate the student’s expectations but also try to avoid negative wording (e.g. replace “you are going to fail this test if you don’t study” with “if you don’t study you aren’t going to pass this test.”). 1. Be aware of the test time limits. Keep track of how much time you have remaining and try not to spend too much time on items that you are unsure of, as you can always come back to them once you have completed the items you do know. 2. Answer the easy questions first and then move on to more difficult items. 3. Answer all questions, even if do not know the answer. 4. If you are allowed to mark in the test booklet circle key words in the question to keep you focused. 5. Use all of the time allotted to you. If you have extra time, cover you answers and try reworking the questions. 6. If the test is bubbled into an answer document make sure the bubble is filled in completely. If the test involves writing make sure you write as neatly as possible. Students can enter the cafeteria at 7:30 a.m. Monday - Friday through the main doors for free breakfast. Students must exit the cafeteria by 7:55 a.m. to get to class on time. Breakfast items must be eaten in the cafeteria before school starts. Decisions about whether to cancel school are made in coordination with both the Janesville Transit System and the Van Galder Bus Company, as well as the passage of city streets, safety of rural students, and information from the county highway department and city street department. The final decision to delay or close rests with the Superintendent. If school is not cancelled and families do not feel it is safe for their child to come to school, then they should keep their children home. Families should remember to call in the absence to the school. If you will be moving from your current home address, please contact Edison Middle School’s Student Service’s Secretary at 743-5926, as soon as possible, to determine what paperwork you will need to fill out for your child to continue attending his/her current school. Please note: If you are moving to an address outside the School District of Janesville, in most cases, your child is eligible to continue attending the School District of Janesville as long as you complete the appropriate paperwork within the required timeline. If you have any questions about school placement for a particular address, please contact Open Enrollment Specialist Deen Hartley at 743-5152. The Administrative Services Office is open year round. When the National Weather Service issues a tornado warning, it means that an actual tornado has been sighted by a trained spotter or a radar reading shows conditions are right for a tornado to develop in the immediate area. When a tornado warning is issued for the immediate Janesville area, the emergency sirens will be activated. Twice each school year, Edison Middle School practices the response the school would use if an emergency siren is activated for a tornado warning during the school day. Edison Middle School has designated safe areas for all students and staff to go to when a tornado warning is issued. Because all doors to Edison Middle School are secure during the school day, they will remain locked during a tornado warning. Staff are encouraged to not respond to door buzzers, knocks on doors, or phone calls, but rather to remain in their designated safe zone until the tornado warning is canceled. We also encourage parents and family members of students to seek safe shelter during a tornado warning. Parents or family members should not come to Edison Middle School during a tornado warning to pick up their child. Once the tornado warning is canceled, Edison Middle School will return to usual operations. At that time, staff will be able to respond to door buzzers and phone calls. Thank you in advance for working with Edison Middle School to keep y your child safe during a tornado warning. If you have any questions or concerns regarding this information, please call the Director of Safety and Student Services at 743-5078. “El distrito escolar tiene que localizar, identificar y evaluar a todos los niños residentes con discapacidades, incluyendo a los niños con discapacidades que asisten a escuelas privadas, sin importar la gravedad de sus discapacidades.” El distrito escolar tiene un programa de educación especial para localizar y evaluar a todos los niños con presuntas discapacidades, quienes son residentes del distrito y que no se han graduado de la escuela preparatoria. Cuando se solicite, el distrito escolar evaluará a cualquier niño residente que no se haya graduado de la escuela preparatoria para determinar, si es apropiada una referencia para educación especial. Una solicitud puede hacerse contactando a Kimberli Peerenboom, Director de Servicios al alumno del Distrito Escolar de Janesville al 743-5061, o escribiéndole a: 527 S. Franklin St., Janesville WI 53548. Anualmente el distrito lleva a cabo evaluaciones del desarrollo de los niños en edad preescolar. Cada una de las habili-dades motoras, comunicativas y sociales del niño son observadas en varias áreas de juego. Se pesa y mide a cada niño y su audición y visión son revisadas. Se utiliza la información para proporcionar al padre un perfil del desarrollo actual de su niño y proveer sugerencias para las actividades de seguimiento. Los padres aprenden acerca de los servicios comunitarios disponi-bles para ellos y hablan con representantes de agencias que dan servicio a las familias. La información de la evaluación tam-bién se utiliza para determinar si un niño debe ser examinado por presunta discapacidad. Cuando el personal de la escuela ra-zonablemente cree que un niño, es un niño con una discapacidad, refieren al niño para una evaluación por el equipo del Pro-grama Educativo Individualizado (IEP) del distrito escolar. Las evaluaciones del desarrollo serán parte de las examinaciones del kínder esta primavera. Espere las fechas en su escuela local. Un doctor, enfermera, sicólogo, trabajador social o administrador de una agencia social que razonablemente crea que un niño que se le llevó para recibir atención es un niño con una discapacidad, tiene el deber legal de reportar al niño al distrito escolar en el cual el niño reside. Antes de referir al niño, la persona que hace la referencia tiene que informar a los padres del niño que se hará la referencia. La referencia tiene que ser por escrito e incluir la razón por la cual la persona cree que el niño, es un niño con una discapacidad. Otros quienes razonablemente crean que un niño, es un niño con una discapaci-dad, pueden también referir al niño al distrito escolar en el cual el niño reside. Una referencia de un niño que reside en el Dis-trito Escolar de Janesville puede enviarse a Kimberli Peerenboom a la dirección de arriba del distrito escolar. If you have questions, please contact the Open Enrollment Specialist at 608-743-5152. El estado de Wisconsin ha anunciado que el período de solicitud de inscripción abierta (también conocida como opción de escuela pública) comienza en febrero para el siguiente año escolar. Las leyes de inscripción abierta permiten que los niños asistan a una escuela pública en un distrito escolar distinto al que viven. El período de solicitud de inscripción abierta para el año escolar 2019-2020 es del 4 de febrero de 2019 al 30 de abril de 2019. Se recomienda a los padres que se inscriban en línea en https://www2.dpi.state.wi.us/OpenEnrollApp. Aunque se recomienda la solicitud por internet, las solicitudes impresas pueden obtenerse en el Departamento de Instrucción Pública o en cualquier distrito escolar después del 14 de enero de 2019 y deben entregarse (se recomienda entregarlo en persona) al distrito escolar no residente durante el período de solicitud. Las solicitudes en papel para asistir a Janesville deben enviarse al Departamento de Servicios Administrativos a más tardar a las 4:00 p.m. del 30 de abril (un sello postal no constituye la presentación oportuna). Las solicitudes entregadas antes del 4 de febrero serán devueltas como no válidas y deberán volver a enviarse después del 4 de febrero, pero antes del 30 de abril. La inscripción a una escuela o programa solicitado está sujeta al espacio y otras limitaciones y no está garantizada. El transporte es responsabilidad de los padres. El ausentismo habitual puede resultar en una recomendación para que el estudiante regrese a su distrito local. Bajo la política del Consejo del Distrito Escolar de Janesville, los estudiantes que asistieron al distrito bajo la inscripción abierta el año anterior no están obligados a volver a llenar una solicitud para el siguiente año escolar. Se requiere una solicitud para cada hermano de la familia. Por ejemplo, si una familia tiene un estudiante en la escuela primaria que ha sido aprobado para inscripción abierta y un estudiante nuevo que ingresará al kínder el próximo año, el alumno que ingresa al kindergarten debe solicitar la inscripción abierta para asistir al Distrito Escolar de Janesville. Wisconsin Statutes provide that schools or school districts may legally release a pupil’s name, address, telephone listing, date and place of birth, major field of study, participation in officially recognized activities and sports, weight and height of member of athletic teams, dates of attendance, photographs (The School District of Janesville will consider videotapes the same as photographs), degrees and awards received, name of the school most recently previously attended by the pupil. Such information may be withheld if the district is advised by the parent, legal guardian, or eligible student (18 years of age or older) to do so. If it is your wish to not allow such information to be released, and if you are the parent, legal guardian, or eligible student, you need to sign a “Request to Withhold Directory Data” form at the school office. If we have not received the request form to withhold information within 14 days of the publication of this newsletter, then we are to assume that directory data may be released if requested. We DO NOT stock any over-the-counter medicines. If you wish to send Ibuprofen, Acetaminophen, or any other over-the-counter medicine, it must be in its ORIGINAL bottle and the Attendance Office must have a signed parent consent form on file. If we don’t have the form, we will call home and the parent will need to come to school and administer the medicine to the student. All prescription medicines must be accompanied by a signed doctor’s form AND a parent consent form and must be in the ORIGINAL bottle. These forms can be obtained in the main office. We are not permitted to accept any other forms.